Brilliant Si-Fi movies are many but those packed with a strong dose of emotions are rare - Alfonso Cuaron's Gravity is one such rare movie. The story of two astronauts' struggle to survive a space calamity, very beautifully touches two subjects - the obvious astrophysics and the not so obvious human psychology. The characters are so strong that you will connect with them even without getting to really see their physical selves hidden underneath the space suits. 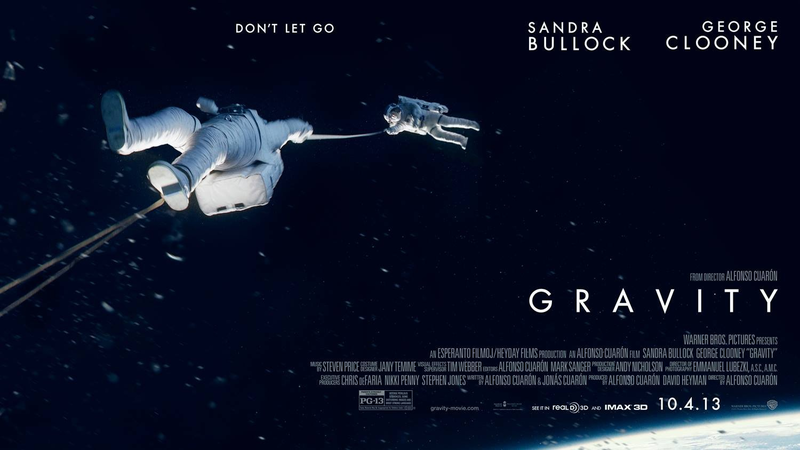 The astounding performances of the two leads (Sandra Bullock and George Clooney), the stunning cinematography that almost takes the audience to a 93 minute space ride, the brilliant direction and intriguing story - all these elements put together make this movie the best movie of the year. For those planning to watch the movie - I earnestly request you to pay respect to this masterpiece by choosing a theater with a good 3D experience to watch this movie. I agree, the 3D experience should never get compromised! Aim to watch it on IMAX screen soon! :) Curious to see if this one is as desolate and touching as the Mars one from a while back..